There’s usually one word that commonly gets associated with the Taliban, and that is: terrorism. There’s a good reason why. The extremist organization has wreaked terror on people throughout Pakistan, Afghanistan and made many around the Western world fear what they will do to us, especially after the World Trade Center attacks in 2001. They are also not exactly a group that is synonymous with equal rights, let alone women’s rights. We’re all familiar with the story of Pakistani teenager Malala Yousafzai who was shot in the head by members of the Taliban for advocating girls’ education. For an inside look at just how oppressive the Taliban regime was during their rule in Afghanistan specifically, we highly encourage you to read Gail Tzemach Lemmon’s book ‘The Dressmaker of Khair Khana’ which is the real life story of a group of sisters who defied the Taliban to start an underground dressmaking business to support their community. 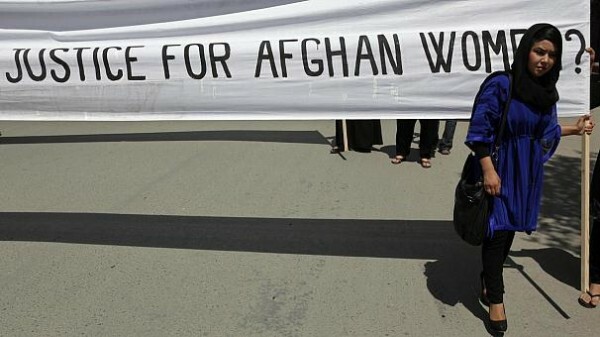 The group made its name in part by banning Afghan women from going to school or work, or even leaving the house without a male chaperone. Some interesting news regarding the Taliban just recently is the announcement of a split in their organization, leading one small faction to break away and set themselves apart from traditional Taliban rules in a big way. This splinter faction, yet to be named, split from the core leadership of the Taliban in defiance of its new head Akhtar Mohammad Mansour was appointed in the summer of 2015. 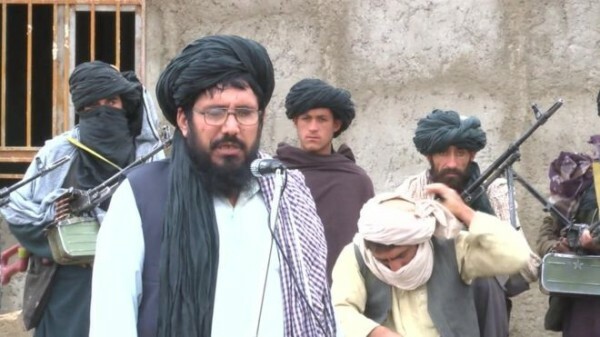 This new breakaway group, headed up by a former Taliban governor, Mohammad Rasool (pictured below), is different for one main reason: it says it wants to encourage women’s rights and education for girls. This group is also said to be willing to talk to the current government in Afghanistan and allow women to work and go to school, the complete opposite of what the rest of the Taliban organization believes in. We have realized this now, that under an Islamic system all rights of human beings — both men and women — need to be implemented 100 percent,” Abdul Manan Niazi, the deputy head of the breakaway group, told the BBC’s Dari service. “We tried our level best to save the Taliban movement from disintegration but after Mansour’s refusal to step down … We finally parted ways with him and chose our own emir,” a senior member of the rival faction told NBC News. Earlier this year it was revealed that the Taliban’s supreme leader Mohammad Omar had been dead for more than 2 years, and the Washington Post reports that this splinter faction wanting to promote women’s rights is just the latest in a string of challenges against the core leadership and part of the growing unrest against their values. Mullah Omar was the guy who sheltered Osama Bin Laden and provided Al Qaeda with a base while the US tried to look for him. Many believe Akhtar Mohammad Mansour suppressed the news of Mohammad Omar’s death in order to personally benefit in his leadership role. 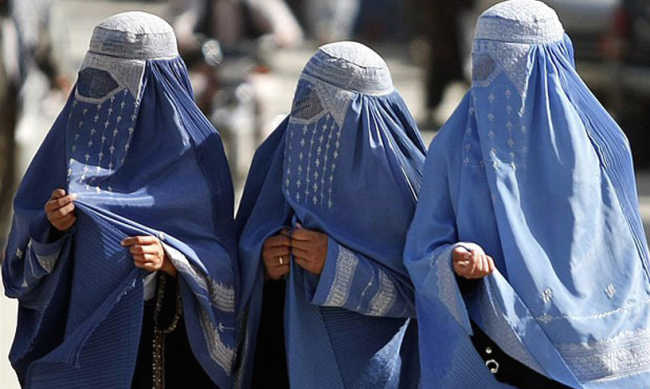 Although the new Taliban faction proclaiming the importance of women’s rights has not yet had a chance to implement its new values, if this stance is genuine, it could really represent the fracturing of the Taliban’s core leadership and their values. “The new faction, reportedly filled with influential Taliban, is believed to be the first formal split inside the movement since it emerged in the mid-1990s and seized power in 1996. Rasool, the faction’s leader, served as governor of Farah and Nimroz provinces under the Taliban regime until it was toppled by the U.S.-led intervention following the Sept. 11, 2001, attacks. He is believed to have been close to Omar,” reports Sudarshan Raghavan at WaPo. In the same BBC interview, the new “women’s rights” group deputy head Abdul Manan Niazi said they want to distinguish themselves as a Taliban group interested in the future, not fighting. “From now on, we Afghans are not in favor of revenge seeking. We announce to all Afghans that it is enough and to put aside Afghan fratricide. Let us find out who the source of the war in Afghanistan is, and where it comes from and how to prevent it,” he said, while also adding the group is against the use of suicide bombings and attacks on Afghan military and civilian officials. The group is continuing to meet with other Taliban members and recruit people to their faction, which could have a large impact on Afghan society as a whole in terms of the treatment of women and girls, and possibly the existing oppressive laws. This year alone there have been a couple of major news reports emphasizing the epidemic of violence toward women. 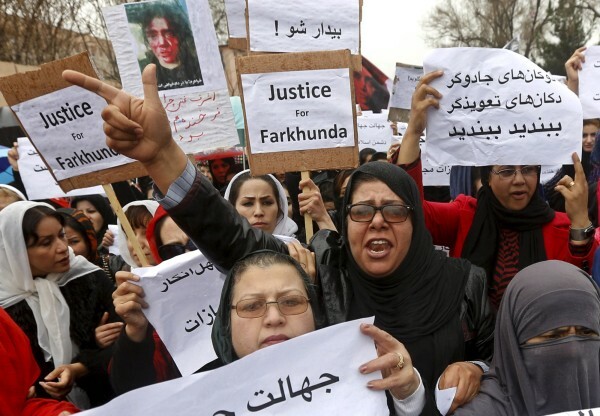 In March, the brutal public mob-killing of 27 year-old Farkhunda Malikzada after she was falsely accused of burning the Quran, went viral after a video was released, and sparked global outrage at the treatment of women in Afghanistan. Farkhunda was a religious scholar who was beaten, run over by a car, thrown into a river and set alight by a mob on March 19. Initially the 4 main attackers were given the death sentence, but eventually the ruling was overturned and they were given 20 years instead. Other attackers were given 16 years in prison, including one police officer who was part of the attacks. And just recently another 19 year old woman was filmed being stoned to death by a group of men in a Taliban-controlled village in central Afghanistan after she was accused of adultery. 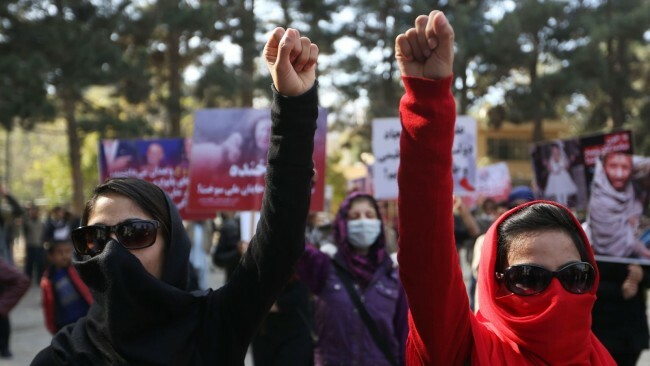 Although the new Afghani constitution includes equal rights measures, violence against women has become a problem that is largely ignored by society. If Mohammad Rasool is successful in building a community of Taliban leaders and members who are against the trademark violence that has underscored the organization’s activities and rule, it could potentially have an affect on violent reports like the aforementioned. This new faction is believed to be the first formal split inside the movement since it emerged in the mid-1990s and seized power in 1996. Many Taliban members have joined ISIS, reports the IB Times, which means a splinter faction is more necessary than ever. We can only hope this is a step in the right direction for all Afghani citizens, and we will certainly be watching to see the effect they have. If there was ever a time to speak up about the importance of equal rights and girls education, it is now. While there is plenty of evil on the rise around the world which can make us cower in fear, what is going to defeat the real terrorists is by strengthening our humanity in our communities and by raising our voices.